A Content Writer from Fresh Info Box, Leading Blog on Latest Information about technology and other topics. 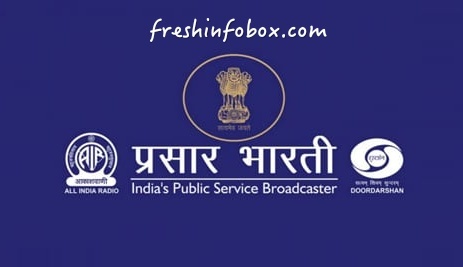 Prasar Bharati to come out with new policy on DD Free Dish. Prasar Bharati has told the Telecom Disputes Settlement and Appellate Tribunal (TDSAT) that it will come out with a new policy for its free direct to home (DTH) DD Free Dish in a few weeks. The pubcaster made this submission before the Telecom Disputes Settlement and Appellate Tribunal (TDSAT) which is hearing a bunch of petitions filed by broadcasters against Doordarshan’s decision to call-off slot auctions without putting in place a new policy. With the matter dragging on for more than six months in the TDSAT, Prasar Bharati has finally decided to end the policy paralysis by framing a new policy on DD Free Dish. “The respondent – Prasar Bharti submits that the respondent is in the process of taking a policy decision in respect of subject matter of these petitions. It is expected that such decision may be taken within few weeks,” the TDSAT noted in its brief order. Following Prasar Bharati’s submission, the tribunal has posted the matter under the same head on 28 May. The tribunal also told Prasar Bharati to bring on record any decision that it takes in the meantime. “It appears that pleadings are already complete in these matters and there is no requirement of taking any further evidence. However, if there is any subsequent development, the parties will be at liberty to take required steps,” the TDSAT stated. Cinema 24×7 had moved TDSAT in September 2017 against DD’s decision to call-off slot auction without coming up with an alternative plan to allow existing channels to continue on Free Dish. Subsequently, other broadcasters whose contracts had ended or were about to end also impleaded themselves in the matter. The broadcasters have argued that DD can allow channels to continue on Free Dish on pro-rata basis. They also contended that the DD’s decision amounts to discrimination as it has earlier granted continuity to channels on pro-rata basis. After hearing all the parties, the tribunal came up with an interim arrangement under which channels whose contract has ended or others similarly situated as them should be allowed continuity on pro-rata basis if they need continuity because of non-holding of the e-auction and have applied or applied for the same. It had also stated that the pubcaster will be entitled to charge on pro-rata basis either on the basis of the highest bid amount or the reserved price whichever is higher. The highest bid amount would mean the highest bid in that category in the preceding year. The arrangement will come to end as soon the Central Government declares its new general policy and take steps to fill up the slots in accordance with such policy. It is clarified that it will not be open for any petitioner or other operators to claim any right to continue on the basis of such interim arrangement. The best MIUI themes for better experience. The best custom Android MIUI. 10 Best tips to overcome stress in board exams. MS Dhoni the real warrior. How to change mobile number in whatsapp? without losing your chats and data. No. one YouTube channel T-Series beats Pewdiepie.